Off to Uni in 12 days now and just looking at vehicle types that are not going to last much longer in London service. So far I have trips planned for the Nimbuses, Marshall Capitals and Wright Cadets. What other types have less than 30 in service? The Mk 1 DW's are very thin on the ground with a number at TC and DW145 hanging on at GR. Scania Omnidekkas are also in short supply with just the 267, 292 & 405 with allocations. Plaxton President / Alexander ALX400 bodied Volvo B7TLs. After January 2018 only the 123 and 128 will be only routes with VLAs. The numbers of PVLs, VPs, VLPs and VPLs are going down fast. To add to your list, there are only a handful of B7TL / Myllennium Vykings left (with Sullivan), but they're usually only allocated to school routes so may be difficult to ride. 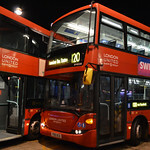 Abellio's 8440, the last euro_2 Dennis Dart on the TfL network! President-bodied Tridents. 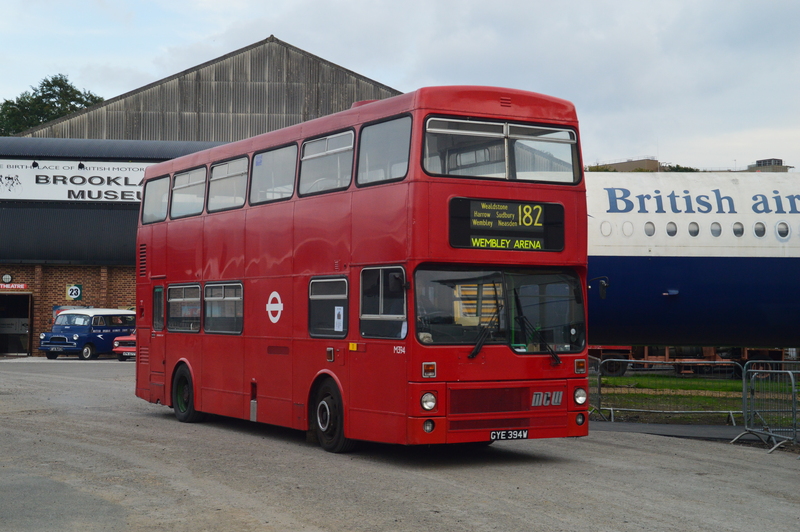 Since the beginning of last year there have only been 3 left in TfL service: Sullivan PDL26, TPL926 and TPL927. Unfortunately they're usually on school routes, unless they escape into a rail replacement service operated by them. I have identified 3 types as on the verge of extinction, with 1 type remaining in London. They may have even been withdrawn from service already. The 2 VP's at Holloway listed as Volvo B7TL / Optare Metrocity EV's intrigued me. Is that a typo or did Optare actually provide the bodies for those buses? Do they differ in any way from the other VP's? It's most certainly a typo as Optare never had a body on the B7TL though they did on the B9TL. All the VP's have Plaxton President bodies. "It ain't perfect" is an understatement! The TfL fleetlist is so riddled with errors it really can't be relied upon for this purpose. 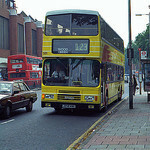 Of the above 3, DMN1 is not unique - it only shows up as unique because it has been incorrectly labelled as ADL Dart / Marshall Citybus instead of Transbus Dart / Marshall Capital. The other two have been withdrawn as vjaska has pointed out. In any case, "types with fewer than 30 examples" is not quite the same as "endangered types". There may be many small batches that are not due for imminent withdrawal despite their small size, e.g. there are less than 30 MetroCity EVs but I don't think there are plans to withdraw them any time soon - indeed the H98 has just been re-awarded with a part-allocation of OCEs. If I was leaving London for a year I think I'd give some attention to the remaining B7TLs. There are a lot more than 30 right now, but I'd expect their numbers to be slashed over the next year. I doubt there will be any Arriva VLWs in service - maybe just a few VLAs - and Tower Transit won't need any VNWs once the 31 is lost and the 23 is cut back. Metroline will surely be withdrawing most if not all of their VP/VPLs over the next few months, assuming they manage to get their new VWHs in service at some point! I'm sure there will still be a few B7TLs knocking about in a year's time, but maybe not very many. It's a similar story with the Darts. Well I might if I was going to uni at the other end of the country. Isn't the OP going to study in Reading? That's 35 mins away from Paddington on a fast train and you can get to the western fringes of London in about the same time on a slower train if you wish. It is not the ends of the earth. By all means enjoy the remaining leisure time before the adventure of University and fending for yourself starts but it won't exactly be a hardship to pop into London to take some bus snaps if need be. No Plaxton Tranbus provided the body for the VPs. Aye I know however can't afford to be coming into London every weekend. Whilst I still have a bit of free time I am making tje most of it. Will be aiming to come back down mainly for events/tender renewals really. Sure and to be fair it is not good practice, IMO, to go running home within a few weeks of starting Uni. It is far better to give a longer time, than most do, to send the message that you've "gone" even if not a huge distance in your case. It also allows you to develop your own independent routine whereby you balance work, leisure and all those boring chores I assume you will have to do for yourself like cooking, washing and ironing, food shopping etc. I know some kids do this already in their households but it is still quite a shock to suddenly be responsible for all of it. I still remember that first weekend arriving in London from "up north" and having to trek to Sainsburys to buy some food or else I wasn't going to have any dinner. Have to say that the bus fleets of Tyne and Wear didn't figure in my thinking before heading south but it was very different times and there is vastly more info now about the bus network than there was back then. Everything was done in arrears in terms of reporting - very rare to get anything in advance or on the day. Still I am sure you will have lots of fun in Reading with its branded buses, curved settees and Spritzer buses.